Stacia and Gero are committed to and value, radical responsibility, personal freedom, open communication, transparency, integrity and love. Through group trainings and personal sessions we offer you the authenticity of what we have discovered in our our own relating along with the expertise, skills and practices that have and continue to inform our own journey's and hence that which we offer to you. We create non-judgmental, alive and transformative spaces where the possibilities for new insight, letting go, growth and expansion can bring about greater aliveness and vibrancy for your next steps in life. Stacia is a researcher of radical human relating who is fed by challenging social norms. She is a writer, speaker, wisdom keeper, facilitator and world bridger. As a co-founder of The Art of Relating, alongside her partner, Gero von Aderkas she facilitates safe and transformational spaces with individuals, groups and workplaces to explore what else is possible in human relating. 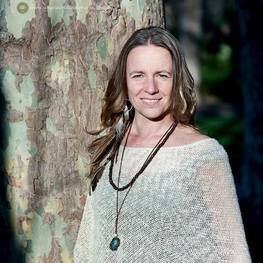 She has a natural way of weaving together her experience in several walks of life including: 12 yrs in the corporate, mental health and education sectors along with her practice as a Holistic Counsellor, Shamanic Practitioner and Possibility Manager. "I have learnt that life requires me to be both fierce and graceful." Gero is passionate about vibrant relationships. He brings presence, curiosity and patience supporting people’s processes to unfold safely and in their own time. He shows an unconditional acceptance and love for all that is and moves from a place of integrity and authenticity. Gero has journeyed with the question of ‘what is really possible’ in human relating for the last decade. Co-founding The Art of Relating with Stacia has been a further step into living his passion fully. "I come alive when I navigate unknown spaces & enjoy creating new experiences & growth for people." 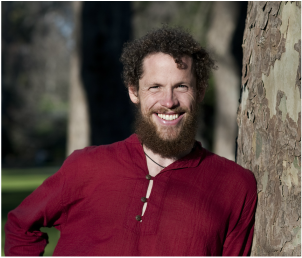 Gero has a strong desire to find efficient ways of sharing the finite resources of the planet in a way that serves the greater whole. He is committed to serving his bright principles: Inspiration, Love, Integrity, Evolution and invites winning happening to take place wherever he goes.